To Apple fans, the Mac Mini offers a lot of bang for the buck. Do not let its small size fool you as the Mac Mini can be used as a dedicated server perfectly capable of handling all your data processing needs. With exterior dimensions of 1.5 inches H and 7.7 inches W they are perfectly compact and can be collocated within a data center very easily. Our authorized Mac Mini colocation experts offer a shared or dedicated server, which currently run on the latest macOS. When you decide the time is right to collocate your Mac Mini server simply send us your machine, along with your specific configuration settings, and we will have you up and running within 48 hours or less. Or, if you so prefer, you can schedule an appointment to visit our data center and we will help you setup your Mac Mini within our state-of-the-art facility for Mac Mini Hosting. Once your Mac Mini colo plan is setup and running you will receive an email with login instructions and an assigned IP address. Mac Mini Hosting remotely requires the use of an SSH or related remote desktop networking protocol. Secure Shell (SSH) protocols will make it possible for you to connect to your Mac Mini safely and securely from a remote desktop or related networking device. Your dedicated IP address, which will be assigned to you, is what you will use to access your Mac Mini server. Our Mac Mini colocation plan includes ultra-fast network connectivity compliments of multiple 10G ports from nationwide Tier 1 providers. Colocation of your Mac Mini to any of our data centers will give you access to multiple ISPs (Internet Service Providers). Colocation America has built a network of redundant network connections which means connectivity will remain fast no matter what. Additionally, a 99 percent uptime is guaranteed on all Mac Mini Colo plans. Colocation of your Mac Mini or leasing a dedicated Mac Mini shouldn’t break the bank and should offer flexible leasing terms. Month to month billing cycles keep things simple. If at any time you need to upgrade or downgrade your service simply send us an email. Canceling service is just as easy. If you are a Mac Mini colo customer we will send your server back to you pending an official cancellation email as well as a prepaid shipping label. Ready for Mac Mini Hosting? 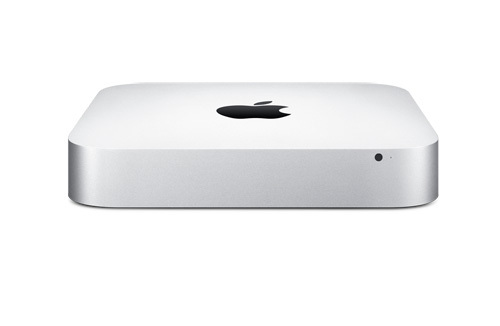 If You Wish to Collocate Your Own Mac Mini as a Server in a Secure Data Center, Contact Us with Your Specification for a Free Quote! What’s Best—Shared or Dedicated Mac Mini Servers? There is a difference between a shared and dedicated Mac Mini server. 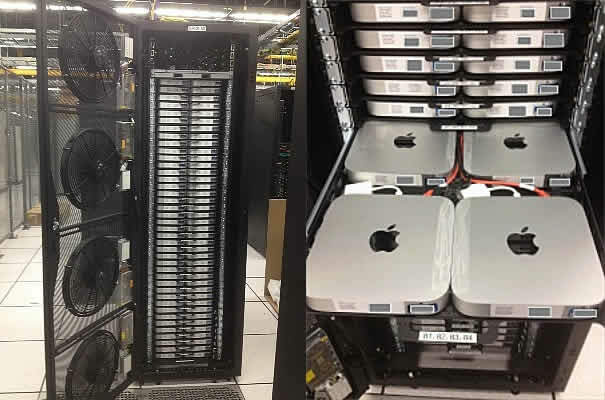 If you need an ultra-fast connection to your server at all times and will be accessing it heavily during peak hours, then a dedicated Mac Mini server is ideal. Dedicated Mac Mini Servers will place the system resources of the entire server in your hands. In contrast, a shared Mac Mini Server is shared with other users. While files and applications will be secured and only accessible to you, the end user, shared servers are prone to slower connectivity during peak hours. This is because the system resources are shared among all the users so you will have to compete with others during peak hours. Using a shared Mac Mini is perfect if your network needs is limited or if your website doesn’t experience a lot of traffic. If you have trouble deciding between a shared or dedicated Mac Mini server our qualified technicians are on hand to assist you in the decision making process.